Thank you for your consideration to become a covenant Partner with Bishop O. L. Meadows and the entire membership of Alabama First Jurisdiction of the Church Of God In Christ. This covenant partnership supports the vision of our great leader. Bishop Meadows is a Man of God with such a vibrant and progressive Ministry. Through his leadership God has blessed this Jurisdiction to purchase and "PAY-OFF" a very impressive Jurisdictional headquarters. Bishop Meadows has not just asked us to support the vision, but he has been the GREATEST supporter and financer of this God given vision. Under the leadership of Bishop Meadows, we have provided groceries for the hungry, and emergency assistance all over the state of Alabama to the tornado victims. Many scholarships have been provided to young people all across the state. Local churches have been given assistance. All of this was done under the Divine guidance of our leader, Bishop Meadows. He not only gave guidance, but be assured that he has been and is the greatest contributor and partner to this Ministry. We pray that God will touch your heart that you too will make a commitment to join with others as a partner sowing a "MONTHLY contribution of only $10.00. The contribution will go strictly to support the ministry goals and objectives. We want you to be a part of continuing the support of the on going ministry of Alabama First. As a result of becoming a partner with this ministry, you will become a prayer partner with, and recipient of prayer from the Bishop as well as others in the prayer circle. 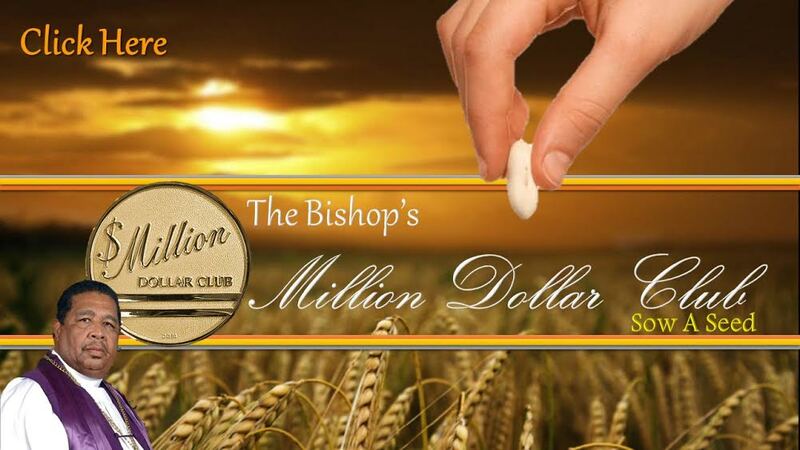 Your $10.00 contribution will allow you to receive a special quarterly letter from the Bishop along with other gifts. Please click the Givelify button below and make your contribution TODAY! The Givelify button will take you to a secure connection to give your gift of support. Once you get to that point, just fill out all the payment information and click pay. ​​We are praying over you and your prayer request, and we KNOW that God will honor your commitment to be a partner in supporting the work of the Kingdom! THANK YOU!